This has been a challenging year. Everyone is feeling it. We all need a break. Change is catching up with us fast — with each of us as individuals, and with the grand experiment of modern society: that is, of freedom and of responsibility. Astrology describes this beautifully — for those who are interested. Astrology is big enough to encompass anything, particularly if contemporary methods and planets are used. Best of all, astrology reaches into who you are as a person, and helps you see your options. What led to the strange phenomenon of the election of 2016 — whether you’re horrified or think the outcome was just fabulous — is still developing rapidly. 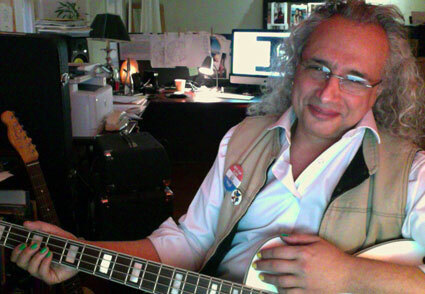 iMac selfie of me in Blue Studio, my creative shop. Using a past era as a comparison: were this the 1960s, we would be in December 1965. So much seems to have happened; very nearly everything has yet to happen. Where are you positioned as these radical transformations take hold? You have things you want to do with your life. You want to keep your peace of mind and deepen your inner relationship. You want to do your bit to take care of the world — the world that the young people in your life will inherit from us. I’m right here with you. My goal is to prepare you for the passage of time, so that you can make the most of your life. Each year (going back to 1999), I write an annual extended reading for all 12 Sun, Moon and rising signs. 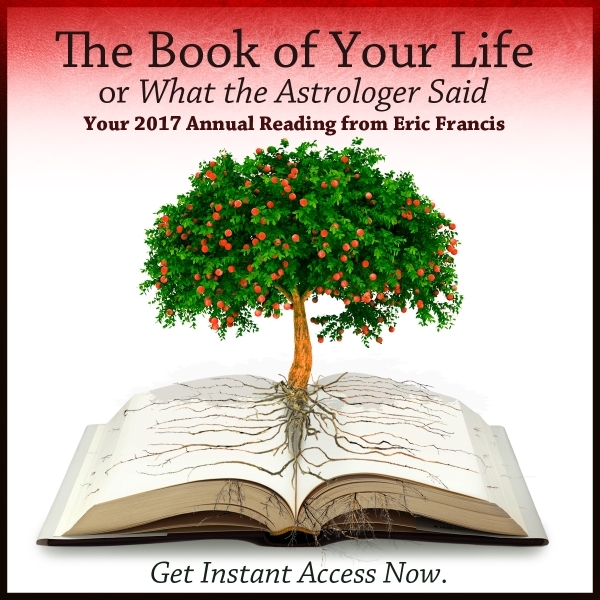 This year, that reading will be called The Book of Your Life (or What The Astrologer Said). Unlike past years, this will be exclusively in writing; I am striving for simplicity and clarity. The readings will be delivered as webpages and also as printable PDFs that you can read away from your computer or device, if you want. To these extended, chapter-length readings, I bring the best of my spiritual training, all that I’ve learned as a consultant, and a couple of decades of writing about astrology. I bring my writing skills and my sense of perspective. The result is an unusually solid, clear-headed and dependable set of astrology readings. I see you as the best, most complete, most balanced person you can be. I reach for the light and am unafraid of handling shadow material in a creative way. Most of my readers use this work to foster their personal growth and healing. Some depend on my readings for confirmation of what you already know. Some use them as an aid to help you envision your future. Others use them as a means of understanding your life, counting on the objectivity that astrology can offer. 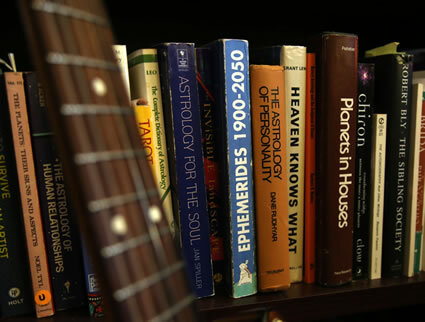 Astrology is a product of book consciousness. With the advent of the internet, the cohesive, thoughtful necessities of the book are being lost. At Planet Waves, we are preserving the tradition of scholarship. As we move further into 2017, and beyond, we are dealing with factors that will influence everything. For a conscious person, that means opportunity. Mighty forces are at work; many involve the lesser-known minor planets, such as Eris, Chiron, Pholus, Pluto and others. I am on the story, and I offer information from your astrology that you can understand and put to use. I avoid jargon and use illustration and examples. I have another approach for you: a calm, reflective approach. I strive for coherence, and for writing a story you can relate to. You’re already familiar with my work: you know the love, care and detail I put into it. You can get all 12 signs for just $99. This is the pre-order price; and you need only make one purchase per household. You may share these readings with your family. I will be delivering these readings very soon. Sign up today, and get the discounted pre-order price. If you would rather place your order by phone, call either (206) 567-4455 or (845) 481-5616.